Although Uber was launched in 2012, it was only this summer that it came to prominence in the UK, after provoking the ire of London cabbies. In June, they went on strike to protest against the taxi app, which they claim is unregulated and employs a meter system that, in London, only black cabs can legally use. This prompted a cheeky press ad from Uber with the line "Keeping London moving". The publicity generated by the action brought Uber to the attention of many Londoners who had not previously heard of it; downloads soared. Uber, which was valued at nearly £17bn this year, has a slick social- media plan. By offering referral credits, influential users and celebrities can enjoy months of free travel by sharing their unique code online and having followers sign up - all while Uber benefits by attracting thousands of users. Allied with cabbies railing against the service around the world, it seems Uber's profile will remain high, further boosting interest in the app. 88%of commentary about Uber's fares was positive. Commenters believed that Uber was much cheaper than other apps and traditional taxi services. The remainder felt differently however, with some believing they had been overcharged for their journey. 63%of commentary about the functionality of Hailo was positive. Many commenters were impressed, especially being able to pay via the app for cabs that they hailed on the street. Those who commented negatively had faced technical problems when using the app. 56 - June: Taxi drivers across Europe protested against Uber, with London cabbies bringing traffic to a halt. While TV personality and former newspaper editor Piers Morgan stood by the "most knowledgeable, safest and funniest (drivers) in the world" on Twitter, the protest seemed to backfire, increasing Uber sign-ups by 850%. 59 - July Following June's protests, the Licensed Taxi Drivers Association filed criminal proceedings in London against six Uber Technologies Inc. drivers. The move was another attempt to block the use of Uber's app in London, despite Transport for London having stated that it was a "fully compliant operator". 67 - August: Pop star Harry Styles' sister, Gemma, who has more than 2.9m Twitter followers, shared a promo code on the site, granting her followers a £10 Uber credit. This attracted more than 1300 retweets and almost 5000 favourites. US rapper, Ludacris, gave his Instagram followers a "free first ride", generating almost 10,000 likes. 65 - September: Uber's app was banned in Germany following a case brought by the country's existing taxi drivers, yet Uber continued to operate after it was allowed to appeal against the decision. The news sparked an increase in downloads of the app and more than 4000 unique mentions of Uber in Germany. 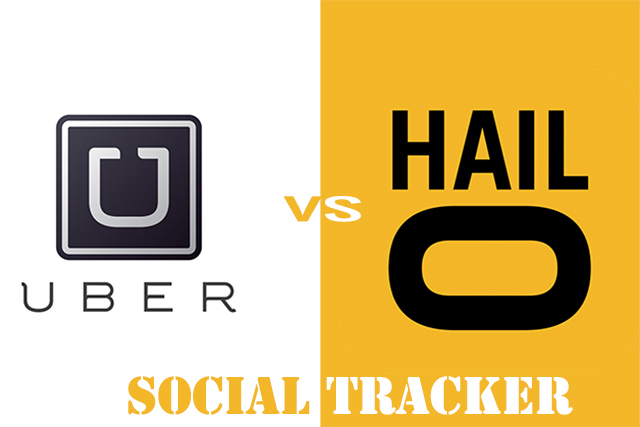 Social Tracker is powered by Yomego and Human Digital.